Sometimes, the movie review itself is not enough. Cinephile City’s writers prepare for this weekend’s Steve Jobs by discussing the career of its screenwriter, Aaron Sorkin. Scott Goldfarb: So, we find ourselves on the verge of another Aaron Sorkin penned biopic about a super intelligent technology guru that shows the subject to be filled with flaws and is directed by a distinct visual stylist. What are our thoughts on this project, and moreover, with Sorkin himself? I’ll admit that my particular frame of reference is much smaller than I’d assume most of you, as I have seen none of his TV shows nor have I seen much of his film work. The only Sorkin-written films I’ve seen are The Social Network and Moneyball. Thus, I can’t comment too much on what a lot of people dislike from his TV writing, beyond just what I’ve read about The Newsroom. Based on just those two films, I do like Sorkin’s voice and his ability to write quick patter back and forth. When he’s on a really strong path, he can make speeches that shine like no one else’s. It wouldn’t surprise me to see The Social Network‘s big moments still remain cultural signifiers in the same way that his previous A Few Good Men, “You can’t handle the truth!” was. 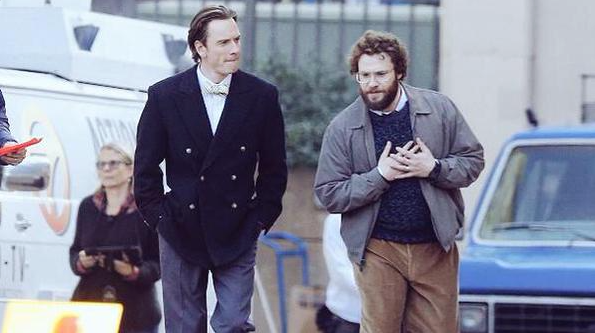 Given how significant a figure Steve Jobs was, I think Sorkin has the real potential to turn out something amazing. Mark Young: I’ve always felt that the nerdy part of the world has given Sorkin a lot of credit for taking things which are dry and even a little boring, and making them interesting through dialogue. The West Wing is the best example of this: the main reason why tort reform never gets passed is because you would think it’s too boring an issue for an hour-long prime-time TV drama, but he’d make it happen anyway. As many others have pointed out, when done too often or too much by rote, that process can tend toward what is these days called man-splaining. Think about how often Josh Lyman would simply lecture Donna Moss about a political issue, or how most of Act One of A Few Good Men is Daniel Caffee telling Jo Galloway (whom he admits, for all of her mistakes, has seen the inside of a courtroom far more than he) how trial law works. In the wrong hands that can be a tedious and exhausting trope, as the critical gutting of The Newsroom showed by the time that series ended. 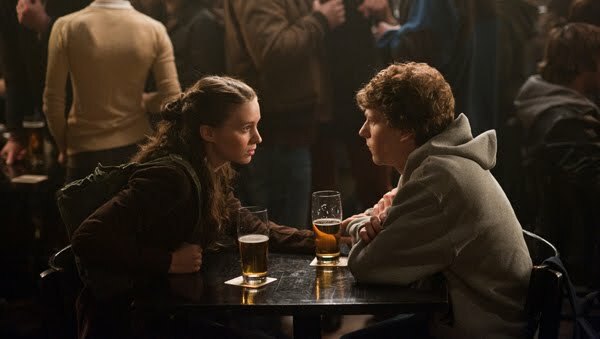 Sometimes I think the only reason The Social Network succeeded is because it sets up in that first scene how women don’t especially want Mark Zuckerberg explaining anything to them. So, while Kate Winslet is always a delight to see on screen, part of me does wonder if we’ll have to see someone tell her how a Macintosh works. Shaun McAllister: There’s also the fact that Sorkin may be the most blatant and notorious self-recycler in the history of moving pictures. One has to think one of the reasons his film work has been more successful in the back half of his career is there are people around to ensure he doesn’t do this as opposed to his tv shows where he answers to no one. Sorkin is one of those writers for whom I can just close my eyes and listen to a movie. In the hands of the right actors (and I’ve very rarely seen casting of a Sorkin-penned film miss), his screenplays have this musical quality. Others knock the repetitive nature of his banter, but that repetition of sounds is just part of the appeal. And piggybacking off what Mark says above, he has the capacity to not only make dry material sing, but bury an emotional stomach punch within it. Think about the best episodes of The West Wing (“The Crackpots and These Women”, Two Cathedrals”, “Posse Comitatus”) or better yet, the final moments of The Social Network; scene after scene of litigation comes down to Zuckerberg sending Erica Albright a friend request that will, let’s face it, never get accepted. That being said, the last few years have shown he desperately needs an editor, or at the very least a collaborator with a similarly strong vision. I’m not going to attempt to defend The Newsroom here; how the same man who gave us CJ Cregg (aided by Allison Janney’s terrific performance) could also give us the pratfall delivery device that was Emily Mortimer’s character, I’ll never comprehend. That show, and some of his other recent comments, have proven that when let off the hook, Sorkin will sound like….well, like a cranky middle-aged man. What makes me optimistic for Steve Jobs is that it seems like (despite its title and subject matter) it’s an ensemble piece. One does not simply bring in Kate Winslet, Jeff Daniels and Seth Rogen to be set dressing. And if there’s one thing Sorkin has been consistently excellent at, it’s creating an environment where each member of an ensemble cast can shine. The Social Network, The West Wing, even the criminally underappreciated The American President all allow for every member of the cast to stand out at some point. In short: yeah, I get the haters, and Sorkin has some unsavory personal issues that can bleed through into his work. But with the right team surrounding him, the guy can work some magic. Hubert Vigilla: Having seen the movie over the weekend, I’ll mostly avoid spoilers. But I wanted to focus in on the thing that got me interested in the film since Sorkin was attached to it years ago: the structure. Instead of a traditional biopic, Sorkin structures Steve Jobs in three acts, each one focusing on a pivotal product launch. Each of these acts unfolds in real-time and is treated as its own distinct unit of the story. It’s a novel approach, and preferable to the usual cradle-to-grave biopic, or a biopic that’s focused on a couple of formative years in a person’s life. Long stretches of Steve Jobs could be adapted for the stage since it’s propelled by the quick and punchy dialogue and the performances by the ensemble cast. Structuring the story this way leads to artifice and in order to address the events in the intervening years between acts, however. That may turn some people off. Sorkin basically has this recurring group of characters show up at each event, and the dialogue serves as a kind of in-story catch for the audience on how the relationships have changed. But I think that all plays to Sorkin’s strengths for propulsive back-and-forth dialogue. Steve Jobs the character is a kind of narrative hub—it’s his biopic, so makes sense—though his role as a compelling and unrepentant prick doesn’t really work without the rest of the cast as a kind of moral counterpoint. Mark Young: Of course it would make sense that long stretches of Steve Jobs could play on the stage, as Sorkin was a playwright first, before anything else. Incidentally, the definitive Broadway performance of Col. Nathan Jessup in A Few Good Men was delivered by Ron Perlman; now that is a man I would like to see delivering Sorkin dialogue. T. J. O’Neill: To your point about a recurring group of characters, I do find it fascinating that Sorkin, a man regarded for two ensemble TV series (Sports Night and The West Wing) has now done two consecutive films about men with singular visions who tend to end up alone or alienating people as a result (Zuckerberg and Jobs). Looking forward to seeing the film and examining how not just the way Sorkin writes these two men, but the performances, intersect and deviate from each other. And now I really want a peek into the alternate universe where Fincher stayed on as director, Natalie Portman stuck around to play the Kate Winslet role, and the inevitable Reznor/Ross score. Hubert Vigilla: Gosh, if Fincher was still attached to Steve Jobs, the two movies would probably work in some oblique conversation with each other. It might have wound up this interesting statement about where the computer, and eventually the internet, has taken us over the course of 20-25 years. Though without getting too much into it, I’m sure Fincher’s film would have closed on a much different note than the movie we wound up getting from Danny Boyle. I suspect Fincher would prefer ending in the minor key. Dylan Sands: I’ve said this before, but I think what rubs me the wrong way about Sorkin is all of his “clever” dialogue makes each of his stories seem so inhuman; the roles could be filled by robots programmed to deliver bon mots and heavy handed metaphors and the end result could be the same. The Algonnquin Round Table sure gets romanticized a lot, but in the end it was probably often exhausting, with smug pricks always needing the last word while one-upping each other. A Sorkin story feels like that same table, but with Sorkin himself in every seat, like some self-satisfied, condescending hydra. He seems to only write in schmaltzy allegories, not actual character development or dialogue that feels true. I say “feels true” rather than “real-life” because I’m aware stylized dialogue is a thing, and I’m a fan of it…when it works. But I can almost hear Sorkin patting himself on the back for every witty rejoinder that oozes out of his walk and talks. Another writer who seems to beam dialogue in from another planet is David Mamet, but his stylized dialogue feels genuinely sharp and contemplative, like twisted Zen koans. Sorkin’s dialogue never quite worms its way into my ears without some serious, distracting resistance. The Sorkin-verse is one which no one is capable of speaking like humans who interact with one another, but rather serve only as megaphones for trite witticisms and obvious variations on a theme. The final scene in The Social Network is a perfect example of something he’d do that would drive me nuts. Why would Rashida Jones’ character descend from the heavens to drop this ludicrous dialogue on a person she doesn’t even know/shouldn’t give two shits about? It’s as maddeningly obvious as the rat coda in The Departed, but I let that slide since Scorcese made that fairly operatic and over the top from the beginning. T. J. O’Neill: I can’t exactly disagree with or dispute anything Dylan says here (though I think he’s a little rough on the final scene in The Social Network). Yes, Sorkin’s stories exist in a world populated almost exclusively by people who are preternaturally good at what they do. 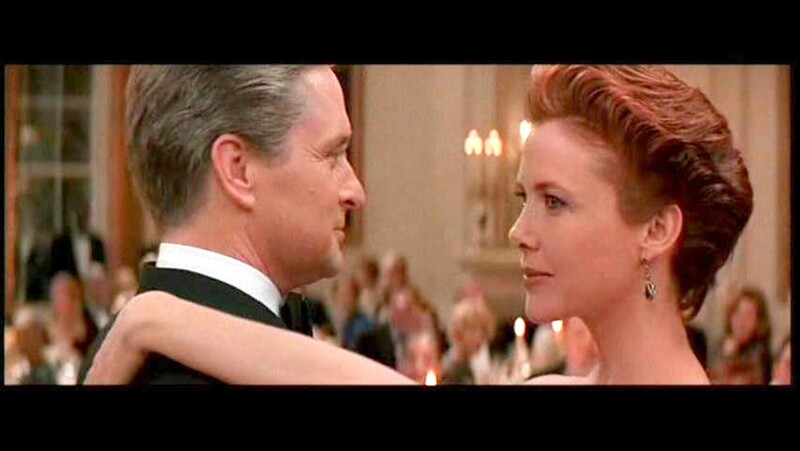 The worlds he creates, whether it’s The Social Network or The West Wing or what have you, are fantasies. Fantasies of a world that Sorkin — it must be noted, a well-educated white man — believes, or at the very least wishes, would be our world if people more like his characters inhabited it. It really all comes down to a willingness to accept and live in his fantasy world for a little while. When he manages to keep one foot in reality, where humans have their own agendas and goals beyond THE GREATER GOOD, he has the capacity to hit on something special. When he loses that grip (hi there, The Newsroom), it becomes infuriating. It’s why I think The Social Network is his best work, because he allows a protagonist to be morally ambiguous, and not in a “I’ve got flaws, but I want you to find my flaws charming” sense. Again, it’s this work that informs my optimism for Steve Jobs. If we can see something human in Fassbender’s Jobs, while the Sorkinesque gleam in his eye still resonates, I think that will be what makes the film. Dylan Sands: Those are some good points. I think I’m being overly rough in general just so I can work myself up and try to articulate just why he rubs me the wrong way. I will say the Steve Jobs trailer kind of sucked me in, but The Social Network trailer did the same. Somewhat off topic, but given the structure of Steve Jobs, that would be an interesting experiment if a different director took on each “product launch” portion of the film. It’d be nice to see what different directors squeeze out of Sorkin’s bountiful crop, like varying grades of pulp in each director’s own brand of juice.